One of the things that keeps me really motivated, is having first ascent projects. It’s the lure of always knowing that there’s something just round the corner, that’s a smidge out of reach. This year, I’ve got 3 main crack projects on the books, which is probably a bit ambitious! One, which is totally possible when it stops raining in the UK, another which is probably a bit beyond me and one more that is just right. I’ve been looking for something that was the next step up from Cobra in finger crack terms and last year I was introduced to it on the border of Italy and Switzerland. Those who know me, won’t be surprised to know that I actually thought it was in Italy for nearly a year, despite crossing the border each time to try it! The Gondo Crack project was originally envisaged by local Italian legend Allesandro Manini – this is the man who’s probably contributed more to cutting edge Italian crack climbing than any other; Profundo Rosso 8a, Denti Stretti 8b/+, Lapoterapia 8c are all very beefy crack lines established by a man of Moon and Moffatt’s generation. The Gondo project, however, has eluded him since his first attempts on it in 1999 and he’s been kind enough to let me try it. 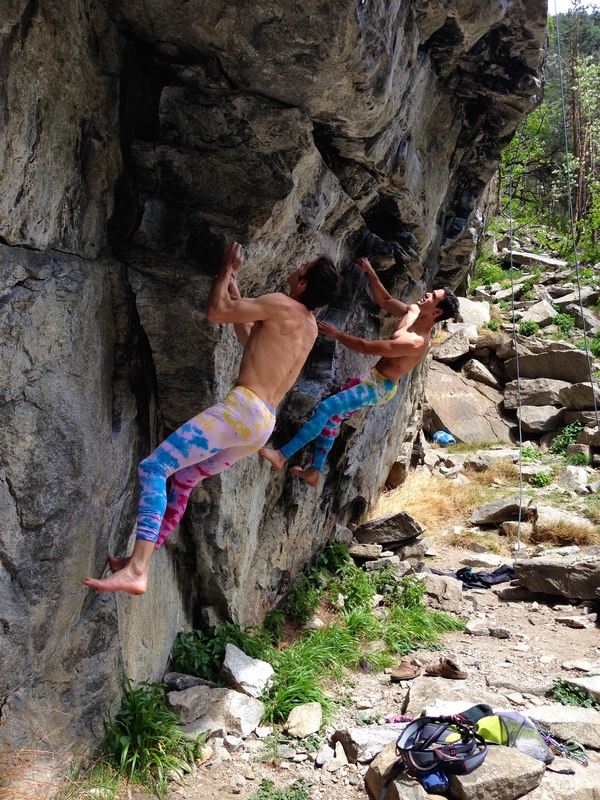 I’ve also been really lucky in meeting a local climber, Lucas Iribarren who’s psyched out of his mind to climb hard cracks. He’s done many of the local hard climbs and most importantly, is just a little mad like me. That always helps! 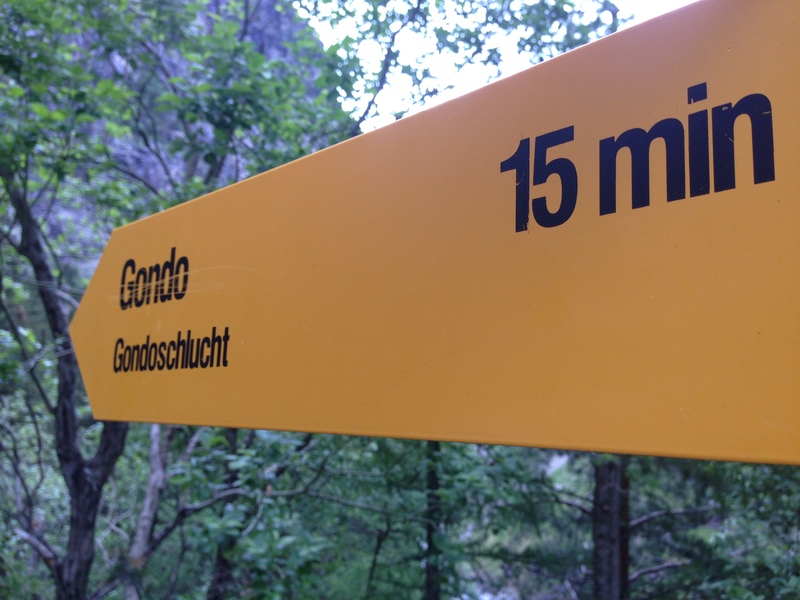 The route is located near the village of Gondo and forms a thin crack line on a leaning wall – I would guess it’s around 15 degrees overhanging. The first part of the line is a pretty nice introduction into the horrors that lie above, with 7c climbing on pretty pokey gear. All the holds are pretty reasonable, but none are massive and there are no rests…. it slowly wears you down and takes the edge off whilst placing the gear. This section then deposits you at a good resting hold at three quarters height via a slightly scary jump/slap move (well, it is for trad climbers who hate being dynamic!). After this, the real meat starts. There’s some set up moves on side pulls and a couple of finger jams and then one good position from which to place your last gear. It burns your shoulder muscle like nobody’s business, but it’s worth it to place the offset nut properly as it’s your last piece of gear. From this, you make a long lock to probably the hardest finger jamming move I’ve ever done. A single, shallow finger in a tiny slot to make a full length move to the next jam. Think 1-4-8 on the campus board. After this, you take a small gaston, slap to a sloper, then reverse your finger into a “Cobra-style” undercut mono move. Build your feet and then pull off a total max body length move to a three finger edge. At this point you’re desperately wanting it to be all over, but from here you have to single arm deadhang the edge (I’ve been telling people for years that one arm pull ups are useless and then I find one!) and do what feels like a one-armer on it as the foot hold is so poor. 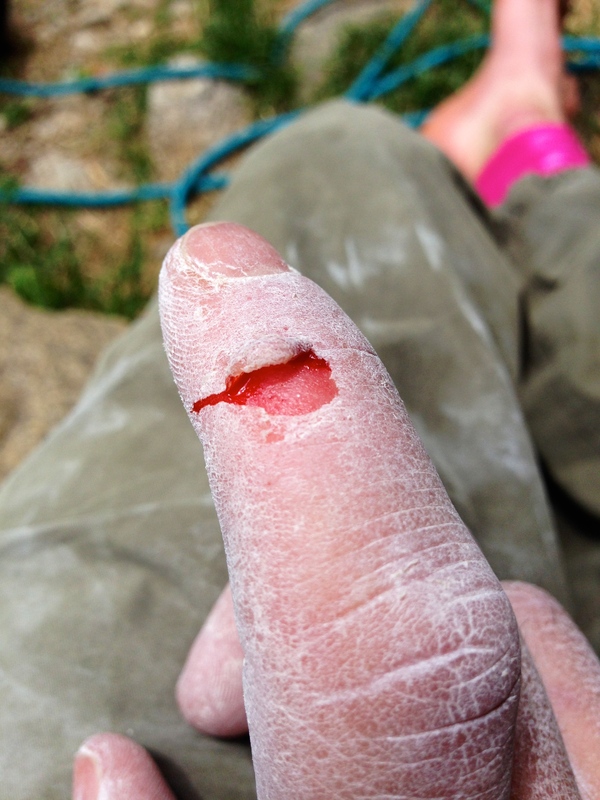 Just a couple of sloper moves after this then lead to a belay and hopefully not a fall…. it’d be brown pants time from there! Yet another route that’s destroys your skin!! Well, as I write this I’m sat here in Italy (yes I’m definitely in Italy and not Switzerland) with only one day left on my third trip to try this route. I’ve got all the way through to the last hard move now, but the conditions are not favourable. The temperatures are high, there’s no wind and humidity is right up there with my local sauna. I guess I better hope to get lucky on the last day huh?